NYHA at Sluice 2017 30.09.2017 - 03.10.2017 Morning Lane / Bohemia Place / Mare Street Hackney Central, London E8 At the Sluice Biennial, we will be showcasing a selection of works from our members along with a Public Participation Work- shop and a screening programme. 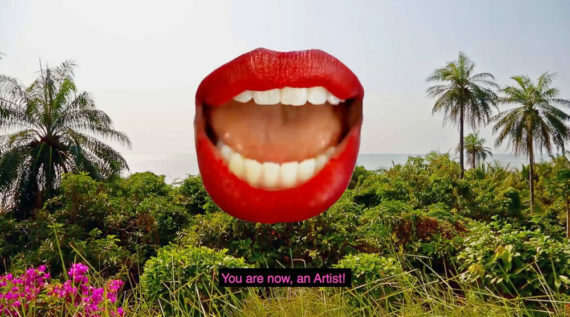 Now You Have Authority is an Artists Collective questioning Photography’s role as a medium of representational expression. As Photography is, and has been an authoritative institution that refuses to evolve or refashion itself beyond its representational heritage, NYHA examines notions of failure and non-representa- tion as a visual artefact in place of a binary approach to the creation of a piece of work. Our staunch refusal to be tagged as “simply photographers” espouses this belief in which the viewer is left in a state of flux as opposed to finding an answer in our works. At the Sluice Biennial, we will be showcasing a selection of works from our members along with a Public Participation Work- shop and a curated selection of Artists Film, Video and Moving Image Works.